Your dream wedding is now becoming a reality: the date is set and the venue is booked. 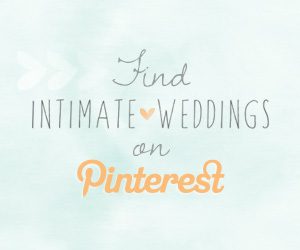 It’s time to let your nearest and dearest know the deets! 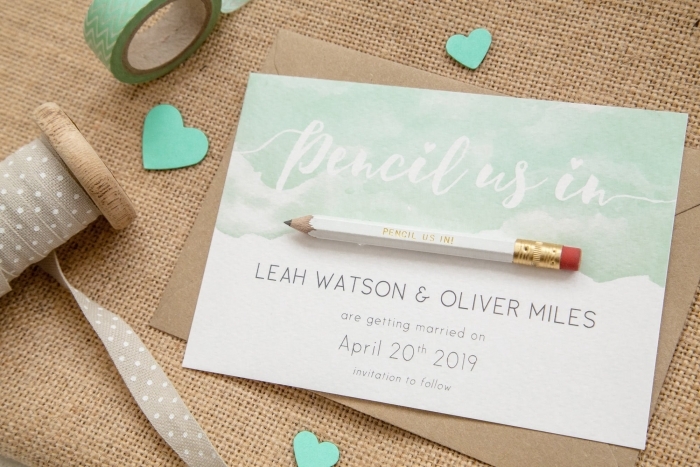 Ideally, save-the-dates are sent out four months before the wedding (and eight to 12 months if you’re having a destination wedding) and along with sharing necessary info , they’re a great way to get guests excited about your upcoming nuptials. 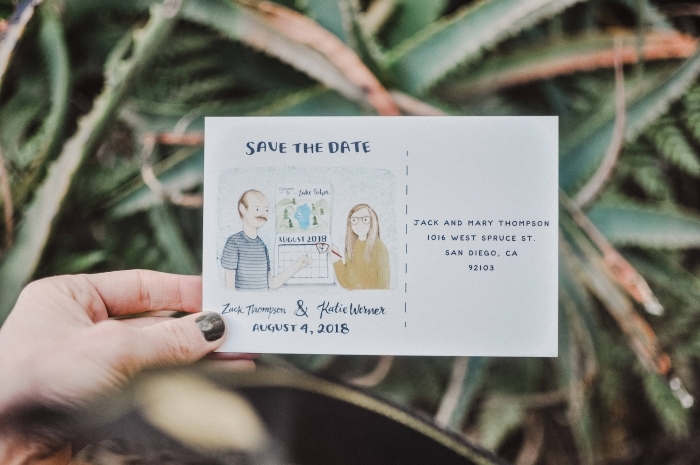 From a whimsical, frame-worthy card featuring a custom couple portrait to a glamorous vintage-esque postcard, these unique save the dates will help set the tone for your big day. 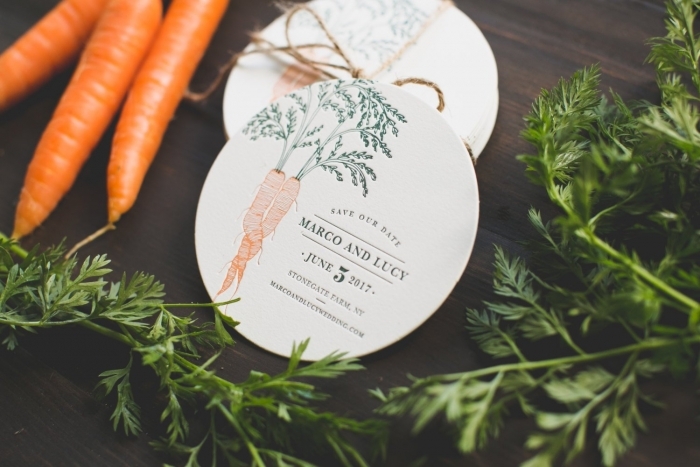 We love the rustic elegance of these letterpress coasters from WideEyesPaperCo. 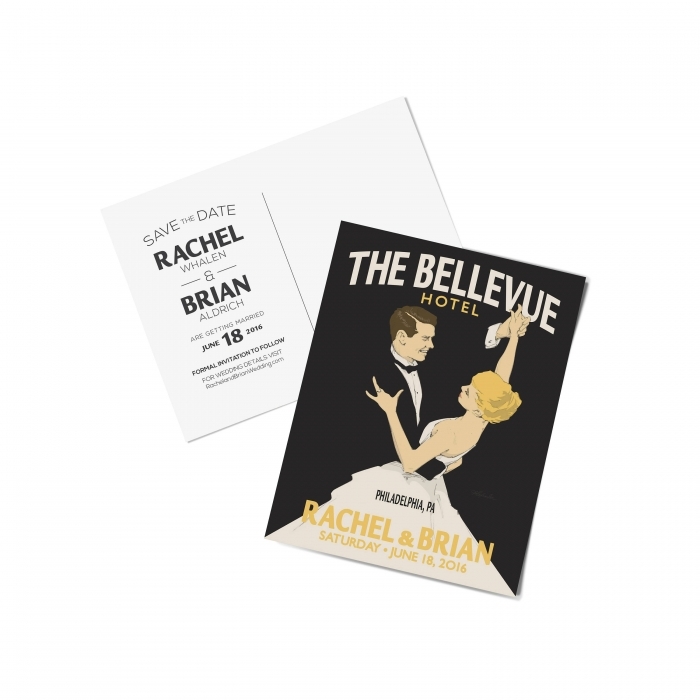 Charm your guests with this Wedding Waltz postcard from CustomAlexander. 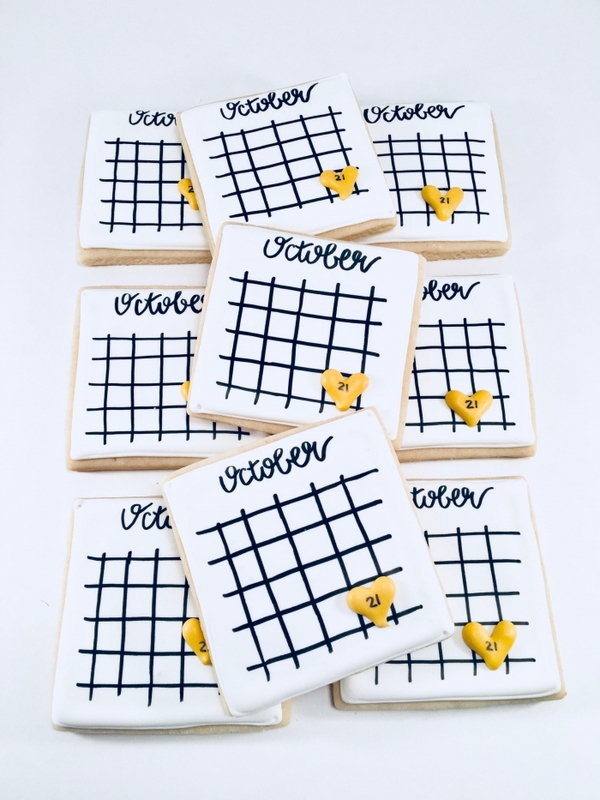 Say hello to the most delicious save-the-dates ever! It’s worth spending a bit more dough for these adorable cookies from SugarChicDesign. 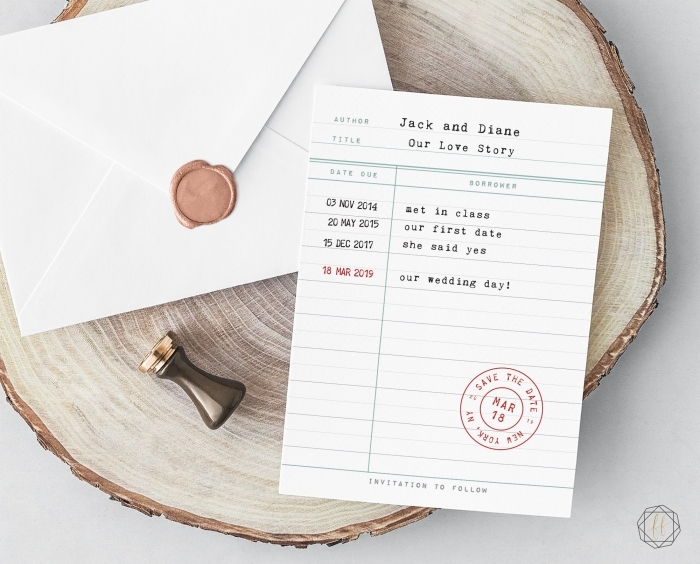 Make sure your guests book off your wedding date with these library card save-the-dates from FreckledFoxPrints. 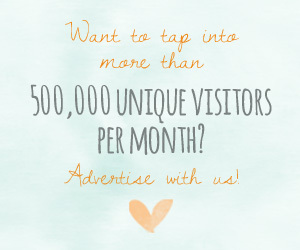 Looking for something truly one-of-a-kind? 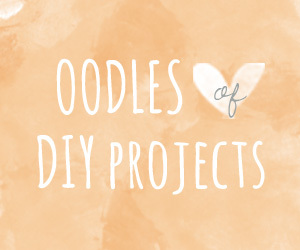 WideEyesPaperCo‘s custom illustrated cards are so beautiful that you’ll want to frame them! 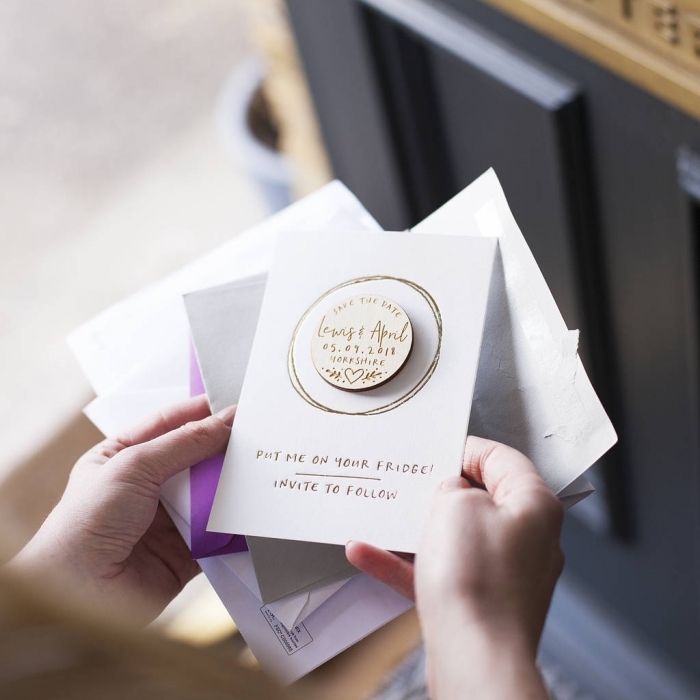 How cute are these ‘pencil us in’ cards from SoulmateStationery? 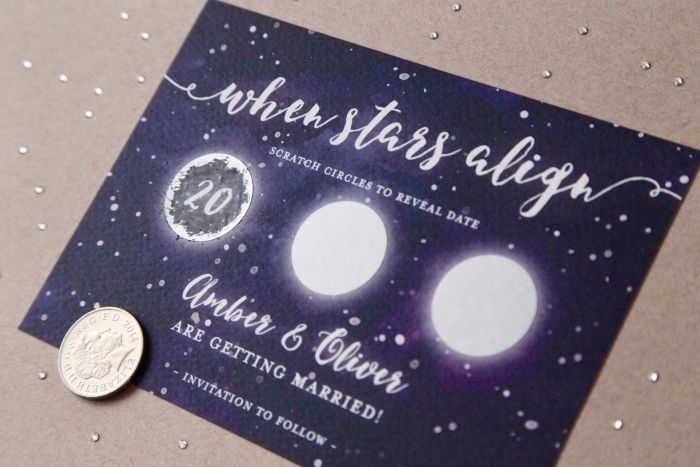 Announce your wedding date in style with these luxurious save-the-date magnet & card sets from CLOUDS AND CURRENTS.